Abbott Mead Vickers and J Walter Thompson London lead a shortlist of eight agencies in the running to win the Grocery and Soft Drinks category in this year's Campaign Big Awards. The shortlist for the category was chosen by judges yesterday, with ten entries making the cut. 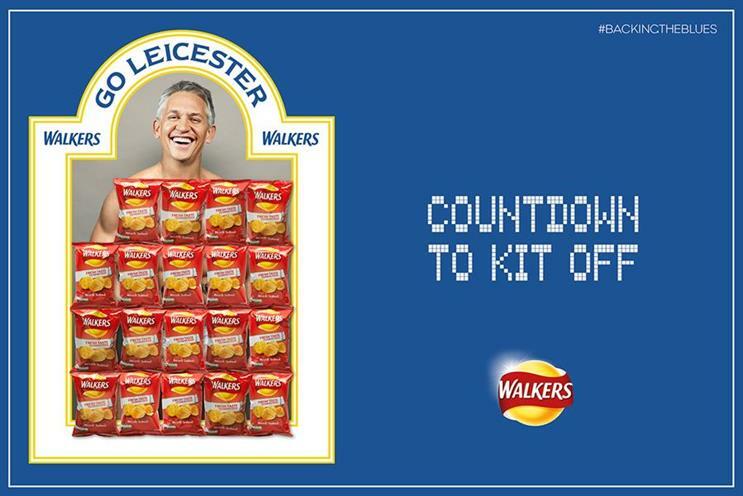 AMV BBDO was nominated twice: once for "Countdown to kit off" for Walkers (above), a digital outdoor campaign in which brand spokesman Gary Lineker was covered by a wall of crisp packets. Lineker said he would present Match of the Day if his favoured team Leicester City won the title, so the crisp packets disappeared each time the team got closer to the trophy, revealing the BBC presenter without clothes. The Omnicom agency was also nominated once for Pepsi Max’s "The perfect ride", a stunt where the soft drink brand partnered with Uber to celebrate Back to the Future Day last October by offering free taxi rides in Deloreans (the car used as a time machine in the film). J Walter Thompson London also earned two nominations, both for "Bond" for KitKat (one for outdoor and one for press). 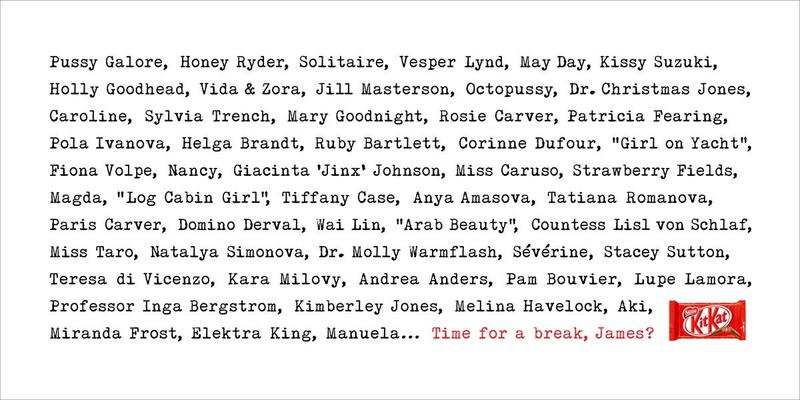 The tactical campaign was launched to coincide with the movie release of Spectre last October and listed the different Bond girls, ending with the line "Time for a break, James?" - playing on the brand's longstanding strapline. The judging for the Campaign Big Awards is taking place in London all this week. The annual celebration of creative excellence from British agencies and their clients will take place at an awards ceremony at Grosvenor House on Wednesday, 19 October.